Saoirse Ronan stepped out yesterday evening(December 4th) for the premiere of 'Mary Queen Of Scots' at the Paris Theater in New York City. 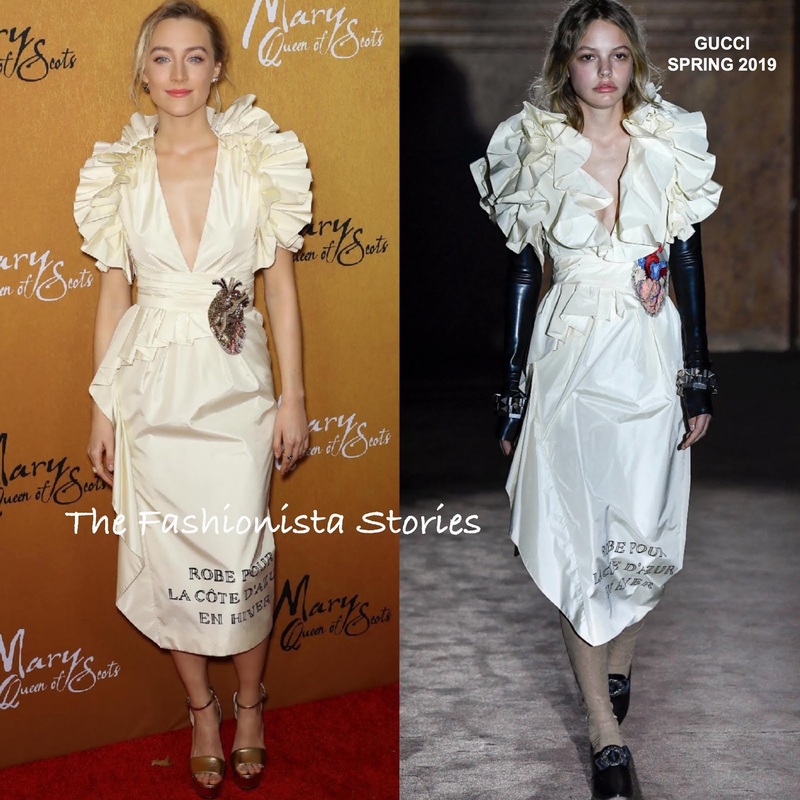 Opting for a similar hue as co-star Margot Robbie, Saoirse wore a GUCCI SPRING 2019 ivory silk-taffeta ruffle, deep v-neck dress, featuring a pleated embellished peplum waist. This seems to be a hue that Saoirse tends to gravitate towards and it is working on her. Although I like how full the ruffles look on the neckline on the model, for Saoirse, the scaled back ruffle bodice suits her better. To compliment her detailed dress, she wore her hair in an up-do and for a touch of color, a pink lip was added. Gold platform sandals finished up her look.